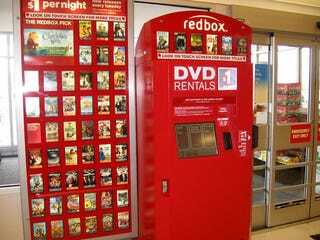 Redbox, the kiosk rental service offering DVDs at grocery stores, drugstores, convenience stores and store stores, will expand its pilot offering of video game rentals to locations nationwide. An email sent this week to customers says games are coming in "late October." The rentals will be $2 a day; DVDs are a dollar-a-day. Redbox's site already has a robust games page up, listing numerous current releases. I visited a kiosk near me here in Eugene, Ore.; it wasn't yet offering games. Thanks to reader Nathan F. for the tip.